Make Your Baby’s Winters Stylish with Modish Jackets! The worries of parents increase as winter arrives. They buy every cloth they can for their babies to protect them from the cold breeze. However, the jackets are the most widely bought winter wear because they protect them in the best possible way. Just like you, your baby also deserves to look stylish, and since he is a clear representation of your fashion sense, you should make him wear chic clothes. 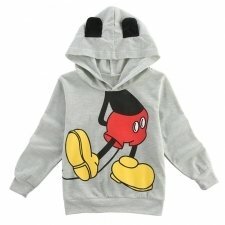 Apart from buying branded clothes for yourself, get your baby designer jackets, too, so that he looks fashionable. 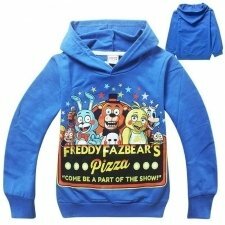 Visit Affordable.pk to find some of the most famous kid’s jacket brands in the country. The boy's jackets in Pakistan are one of the most frequently sold winter items. They protect babies and also give a stylish look to them. However, there are different types of jackets available at Affordable.pk that you should look and only buy ones that suit your baby. However, some designs are exclusive for a particular age. So, do look at the details before buying so that you do not have to go through the return and exchange process later on. 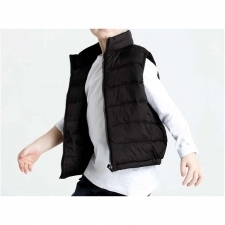 The kid’s jacket prices are reduced up to a great extent so all of them are affordable enough. Jackets For Very Young Babies: For babies of age between three and six months, the woolen jackets are made with hoodies. Moreover, they are designed in the cutest way with mickey mouse and five nights at Freddy's prints on them. The wool is the warmest fabric that has the strongest ability to beat the cold. This is the reason why jackets of very young babies are made out of this fabric. You can try any bottom with this jacket including jeans, straight pants, or trousers. These jackets give a casual look so a daily wear trouser looks fine with them. Jackets for a Bit Elder Babies: The babies of ages between two and five years are old enough to bear the weight of the leather. 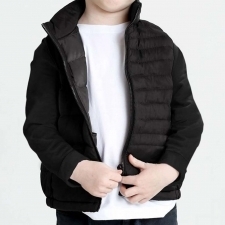 Therefore, jackets for them are made up of leather that gives them a look of the mini young man. You may choose from the sizes available on the details page. However, keep in mind that some babies don’t look their age so choose a size according to their body type. The leather jackets should be worn with smart bottoms only such as jeans or straight pants and avoid trousers with them. You may make them wear t-shirts or casual inners with leather jackets. What is more, make them wear cute little joggers and not sandals with jackets and jeans.